Accidents and breakdowns are beyond our control – they catch us by surprise and often have a chaotic effect on our day. But having a plan B for these unexpected incidents can place us back in the driver’s seat in no time. 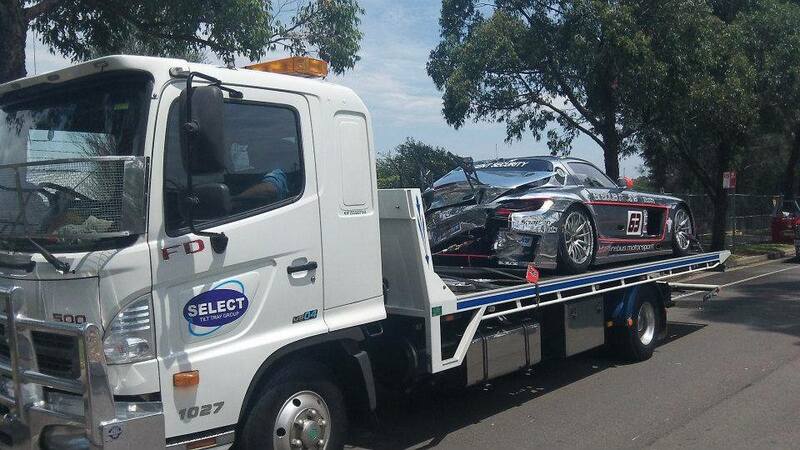 The most sensible choice when it comes to your back up plan is to put Select Tilt Tray Group’s number in your phone, and hit the button if you ever find yourself in the unfortunate situation of needing urgent accident towing assistance. We’ll be there in no time with one of our tilt trays to help you quickly move your vehicle off the road to a safe location of your choice. Our crew will even clean the accident site! 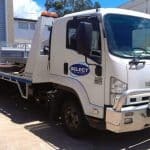 Select Tilt Tray Group have over 20 years’ experience in offering a complete accident tilt tray hire service throughout the Sydney region. Our tilt tray drivers are fully trained to appropriately remove damaged vehicles off the road and safely prepare them for transport. 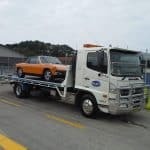 In situations where your car may be too damaged to be driven, we will send a tilt tray truck to pick up your vehicle and take it where it needs to go (even of it’s a ‘write off’). We have an impressive range of new covered tilt tray vehicles within our fleet, which allow us to transport your car without causing any further damage to the vehicle. At Select Tilt Tray Group, we know that breakdowns don’t only happen on weekdays or during working hours. 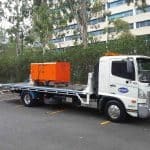 That is why our tilt tray hire service is available 7 days a week, and we offer 24 hour emergency accident towing to a range of Sydney suburbs, including; Parramatta, Newtown, Maroubra, Bondi, Brighton-Le-sands, Castle Hill, Sutherland, Ryde, Kings Cross and Homebush, to name just a few. 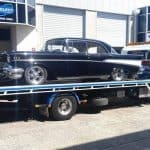 Our crew will always ensure that your vehicle arrives at your authorised mechanic or insurance depot on time, so that there are no delays when it comes to getting your car repaired or initiating your insurance claim. If you have comprehensive car insurance, we can even bill your insurance company directly and spare you this time-consuming task. Select Tilt Tray Group are not just a car towing company; we also provide a safe space vehicle storage. 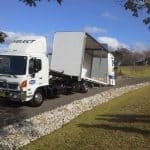 Our secure storage warehouse located in Kirrawee is also available for the temporary housing of “written off” vehicles if required. At Select Tilt Tray Group, we pride ourselves as industry leaders in accident towing. Our rates are reasonable, and we always strive to keep our customers happy by offering our services in the quickest time frame, at the best possible price. And we are a fully insured towing company, so there is no need to worry if anything goes wrong. 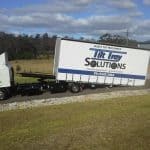 So next time you are looking for a professional, reliable and affordable tilt tray solution when an accident places you in need of a ‘plan b’, just call Select Tilt Tray Group on 02 9545 3464.